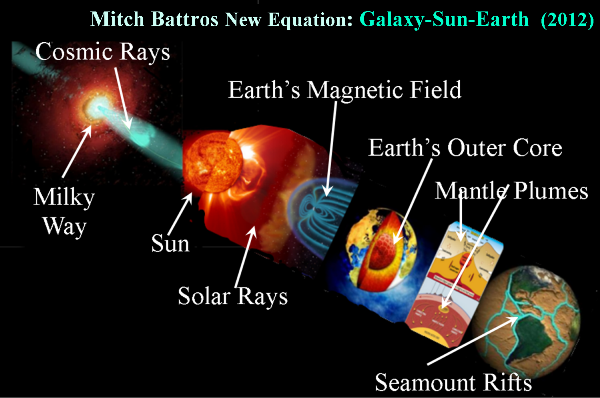 A new sky map using the High Altitude Water Cherenkov (HAWC) Gamma-Ray Observatory shows many new gamma ray sources within our own Milky Way galaxy. HAWC gives us a new way to see the high-energy sky. “This new data from HAWC shows the galaxy in unprecedented detail, revealing new high-energy sources and previously unseen details about existing sources.” said Jordan Goodman, professor of physics at the University of Maryland. HAWC-located 13,500 feet above sea level on the slopes of Mexico’s Volcán Sierra Negra-contains 300 detector tanks, each holding 50,000 gallons of ultrapure water with four light sensors anchored to the floor. 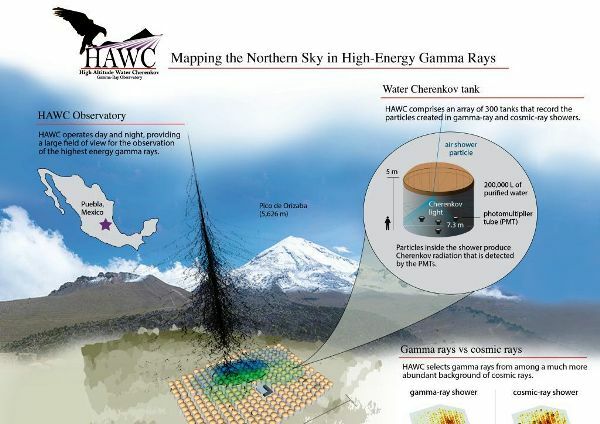 When gamma rays or cosmic rays reach Earth’s atmosphere they set off a cascade of charged particles, and when these particles reach the water in HAWC’s detectors, they produce a cone-shaped flash of light known as Cherenkov radiation. The effect is much like a sonic boom produced by a supersonic jet, because the particles are traveling slightly faster than the speed of light in water when they enter the detectors. 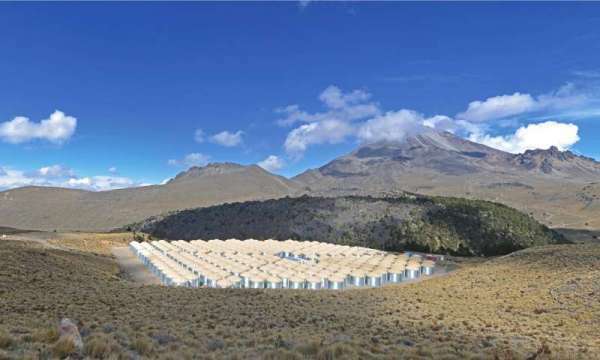 Because HAWC observes 24 hours per day and year-round with a wide field-of-view and large area, the observatory boasts a higher energy reach for extended objects. 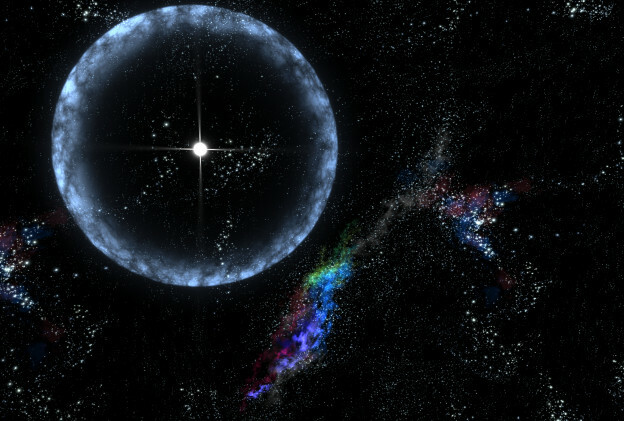 In addition, HAWC can uniquely monitor for gamma ray flares by sources in our galaxy and other active galaxies, such as Markarian 421 and Markarian 501.